Warrior Legend Manga Universe: What's releasing now on 18/07/18? What's releasing now on 18/07/18? There has been a lot of back and forth but the wait is soon over. I'm pretty sure we are reaching the goals in time for a release as soon as Wednesday 18 July! Prepare to get dressed up with great unique Warrior Legend designs this summer. Two designs will be available on release and then there will be more designs showing up as it goes on. So sign up to follow me here for the Wednesday update with actual pictures for the t-shirts with links to the site. 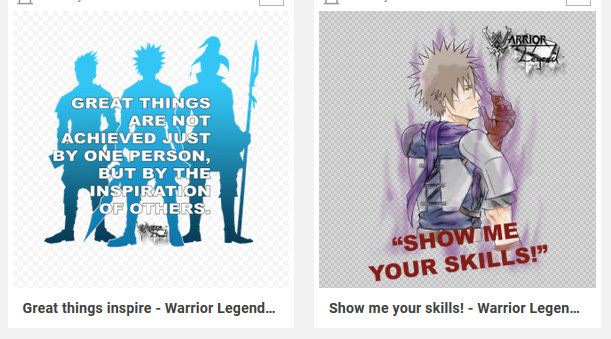 I'll be releasing these on a website called spreadshirt.no that are able to ship stuff all around the world, they are originally based in Germany. You should be able to get awesome at the same time you support my project and I thank you for that. The idea behind the design. Want to be the first to get your Warrior Legend t-shits ordered this Wednesday! Sign up on the top right on the side menu with your email and be the first to know about the release this Wednesday. Dress up, it's WL time!